This could have applied to nothing in Shakespeare’s time more aptly than it does to modern liberalism, a cramped ideology that attempts to construct an entire worldview out of cultural Marxism, which in its core application boils down to worship of blacks and demonization of the whites who allegedly oppress them. 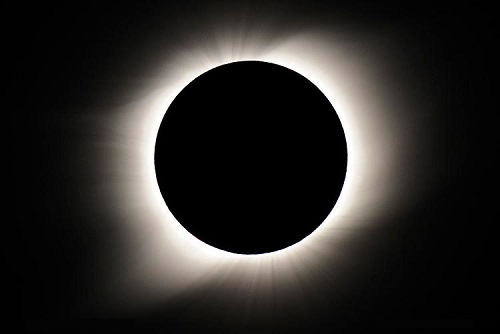 The insufferably pretentious essay drags on for thousands of words, denouncing those who live in the path of the eclipse for their whiteness and political incorrectness. The Great American Eclipse illuminates, or darkens, a land still segregated, a land still in search of equality, a land of people still trying to dominate each other. When the lovely glow of a backlight fades, history is relentless, just one damn fact after another, one damning fact after another. America is a nation with debts that no honest man can pay. It is too much to ask that these debts simply be forgiven. But perhaps the strange path of the eclipse suggests a need for reorganization. We have figured out, more or less, how to count every person. We have not yet found a political system in which every person counts equally. Until Big Government becomes ubiquitous enough to impose absolute equality, so that there is no such thing as excellence and no point in exerting any effort because no difference will be permitted between the best and the worst, America is a benighted land, eclipse or no eclipse. Nothing eclipses liberals’ obsession with cultural Marxism. On tips from Steve T, Steve A, Dan F, Torcer, Jester, and KirklesWorth. Cross-posted at Moonbattery.